Min Y Don Club Site is ideally situated on stunning landscaped land between the coast road and the beach, set against a backdrop formed by Snowdon and the intimidating mountain range. The views of the mountainous terrain, sand dunes and floodlit 13th century World Heritage Castle are breathtaking. A short walk from the caravan park will take you into Harlech past the railway station, where you can enjoy quaint pubs, tasty restaurants and shops set within this historic town. You will also find a heated indoor swimming pool, gymnasium, sauna, tennis court and theatre. If you want to venture further, the site is conveniently located to the main train line to Pwllheli, Criccieth, Barmouth and Aberdovey. Set within the Snowdonia National Park, Min y Don Club Site is ideal for the beach, walking, climbing, golf, fishing and cycling. A short walk from the caravan site, via the pathway across the adjoining famous Royal St David's Golf Course, affords an easy approach to the 3 miles of soft sandy beach which offers safe bathing for all ages. Premier shop 0.5 miles from site. Tesco, Aldi and Lidl, Iceland and Co-Op 9 miles from site. From North: turn right off the A496 (Portmadoc - Harlech) below Harlech opposite the Queens Hotel into Beach Road. The Site entrance is on the right in 400 yards (2nd caravan park). 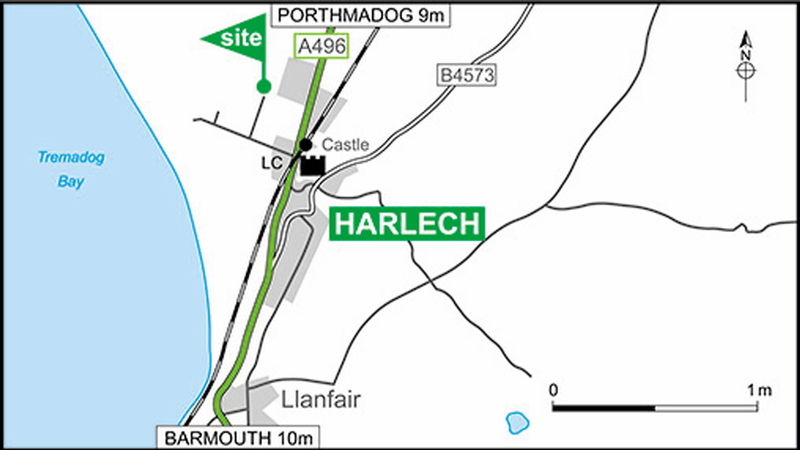 From South: turn left off the A496 (Barmouth - Harlech) below Harlech past the Toyota Garage and level crossing into Beach Road. 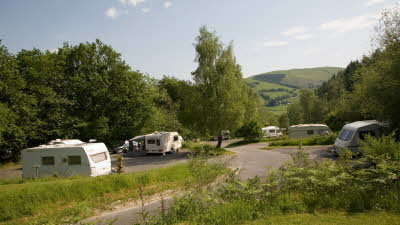 The Site entrance is on the right in 400 yards (2nd caravan park). Please note: avoid B4573 uphill into Harlech, stay on A496 signposted towards the railway. 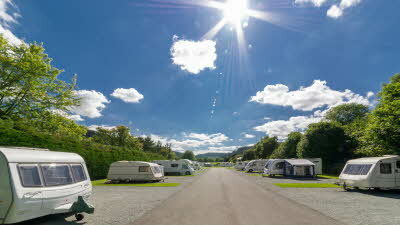 Lovely site, all motorhome amenities. Ehu, water, disposal. But nothing else. Not worth the price paid. Great location, close to the beach, beautiful views of the castle. However I would not recommend the site. On a positive note the site is immaculate and although only one shower block the facilities at the block are excellent. The water tap is the other side of the caravan which does not reach which is not ideal and only one chemical waste point for the site, therefore not really fully serviced site. 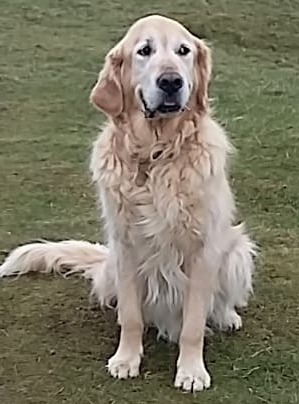 The whole site is very regimental from the rows of caravans, the dog walk ( a small field in a circle ) and patronising rule book full of rules and regulations which are not required at other successfully run sites. Another gripe I have is the swipe system in place requiring a £10 deposit, I understand this is to ensure the return of the card and the budget required to replace these and for maintaining the system, I left my card in the shower block on day one of arrival and was informed I was to forfeit my £10, come on Min - Y - Don I am sure you could honour the odd genuine lost card £10 due to the high nightly fee you receive to ensure good customer satisfaction. I do not complain lightly but Love2stay / Min - Y Don need to take some of the constructive criticism on board to encourage the return of content customers. I would only go back if Geillylydan was full up! There is no doubt that this is a nice looking site, and some money has definitely been spent on it, but I didn't like it very much and would try not to use it again. The Good points: Close to Harlech Beach The Toilet and Shower Block were apparently immaculate A Good Children's play area. The Bad Points: There is no one way system, so one central road goes up the middle, and the touring area consists of spurs off this road, which are all cul de sacs. The central road gets very busy with pedestrians, who do not seem in the least bit keen to accommodate vehicles. The road is nice and flat, yet even with the slightest rain large puddles appear that you have to negotiate on foot if you want to go to the toilet block. There is only 1 toilet block and 1 chemical point on the whole site, and this can be quite a walk. The pitches are far too close together and small. You have to park your car in front of the caravan. I like my car, but I prefer a view of the Welsh countryside when I drink my wine! They claim that the pitches are all serviced, well I suppose on paper they are, but: The water tap is on the back of the electrical supply post (I'm surprised that's allowed), but that is the door side of a UK caravan. Our caravan, and most others I've noticed have their water intake on the other side. This meant that my hosepipe was not long enough. I bought another cheap one and connected them, they just reached when combined. The quality of the hard standing isn't as good as Club pitches. Too many great chunks of rock, or nothing at all! The noise was unbearable. It was school holidays, but the other people's kids were still screaming at the tops of their voices at gone 11pm. This would not happen on a CC site. We have children too, and they enjoy themselves having fun, but not at the expense of others. To get to the touring section you have to go through a large static area. Basically they have crammed far too much into this piece of land. The A496 is not a very nice road for towing, there are walls at either side, and or jagged rocks exposed. My advice would be to try to avoid it. On the way back we turned off for Porthmadog via the new bridge, and then turned right onto the A487, this cut out the worst of the A496 and didn't take any longer. We only had one key card, which you had to have, even if you didn't want to use the toilets. The "Welcome" pack was just some rules and a whole pile of adverts. The communal style wash basins were not a hit in the toilet block. 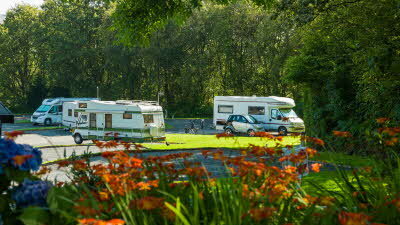 Caravan Club - Please do not use this site as inspiration for new sites. 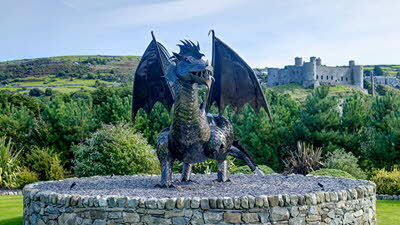 The dragon picture shown on the website isn't even on Min Y Don, it's on Castle Point, which is next door! Min Y Don has a similar statue, but it's a Griffin. The site uses a card swipe system - only one card is supplied and it is needed for everything- even the dish wash and toilet disposal. Why? Most irritating. The door into the dish wash is difficult to open, there are 3 sinks in a small space and it is very cramped. The showers/toilets are clean, but have the dreaded push buttons. The temperature is pre set and was not really warm enough for our October visit. There were only 2 showers in use, which meant queuing. There are no privacy cubicles, just a row of communal wash basins. The push button taps have a fine spray of luke warm water and it takes ages to fill a small basin. The lights are on timer, which is not long enough, in the gents shower was plunged into darkness numerous times and needed to open door to re activate. Depending on your pitch, it can be a considerable distance from the facilities. The pitches are in regimented rows and very close together. Although hard standing, there is a strip of grass in front of each unit that you have to walk and drive over to reach your unit. Large puddles collect on the roadway after any rain that you have to paddle through to reach the facilities. The site is poster mad- 21 on the board by the ladies, 21 by the gents and more in the dish wash. Mostly rules and mostly unnecessary. On arrival, we were given a large "Welcome" folder. However, it contained mostly rules and regs. Any useful information could have been printed on a small leaflet. The site has a very large number of statics, which you have to drive or walk through to reach the touring area. 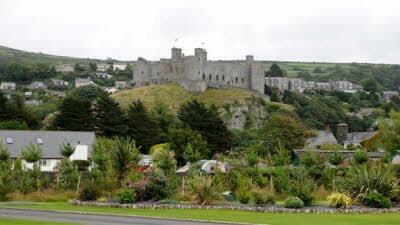 It is a very steep walk up to Harlech, which is a small place and rather run down. Not worth the steep climb, unless to visit the castle ruins. We could not recommend this site and would not visit again. A lot of money has been invested in this site. The facilities block is suberb (if only the radio could be turned off). The pitches are excellent with good services but why leave 3 metres of wet grass between each pitch and the roadway. The roadways are smooth and level but just a small shower leaves enormous puddles that you have to wade through to get to the super loo. Harlech is well worth a visit despite the steep uphill walk. A walk on the beautiful beach is essential.